Many companies claim to have ‘A’ Rated Windows, always ask to see a WER rating scheme certificate or simulation certificates. Click to see our BSI certificate. Duration Windows has been fully certified by BSI and fully registered with the British Fensestration Ratings Council (BFRC) in respect of the Window Energy Rating Group Scheme. The BFRC Scheme is the UK's national system for rating the energy efficiency of windows and is recognised within the Building Regulations as a method to show compliance for your replacement windows installation. The British Standards Institute or BSI is the approved independent agency that is responsible for auditing our manufacturing process and window systems. 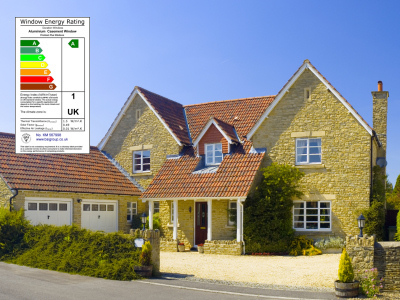 They have to ensure that we are in a position to fabricate and provide customers with a product, which is compliant in the respect of Window Energy Rating Group scheme. If you wish to find out more information or wish to enquire about our Premium Plus ‘A’ Rated Windows, please don’t hesitate to contact us.